This article is dedicated to review a single product. 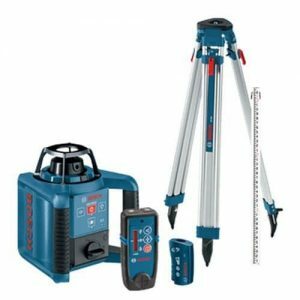 This best rotary laser level reviews will guide you through all the pros and cons related to Bosch grl250hv. We will go through every single detail and features related to the product. 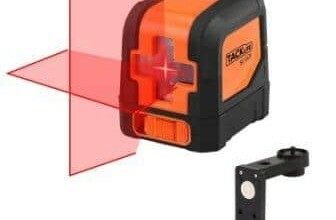 We can assure that this Rotary laser level review would surely help you in order to choose best laser level that suits best according to your requirements and your purpose of using it. This tool will cost you around $490 to $520 to get your hands over this useful tool. This Bosch rotary laser level comes with patented dual laser system. In such systems, separate lasers are used for both horizontal and vertical functionality. 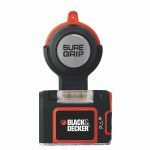 This machine is uniquely designed so it is compatible for using in both indoor and outdoor works. It is equipped with smart pendulum leveling technology. This technology allows the tool to sense whether the machine is out of level condition or not. The machine automatically locks itself when the main unit is switched off. It is not over yet! It comes with motorized micro fine plumb alignment system. This system is common in most of the Bosch rotary laser level. This system allows us to adjust left vertical beam and right vertical beam without requiring relocating the main unit. Yes! We can adjust both the vertical beams without moving the main unit a single inch. There are total six variations available to manipulate and adjust beam length. They are 0, 3, 10, 30, 45 and 120 degrees. Since both speed and length are adjustable, length can be manipulated using three available options. These options are 350, 600 and 1200 RPM. These tweaks are may not be very fascinating for newbie users. 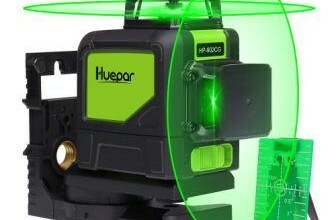 However, advanced users find it most attractive feature since it can be used to enhance the visibility of the laser beam in various light options. In-field recalibration of this heavy tool is very easy. This feature makes it easy to increase and maintain the same accuracy throughout the whole work by experimenting various tweaks and variations easily. Such functionality also allows preventing downtime of the tool. Mostly, this product can be acquired at a chip price if you buy in factory reconditioned state. A factory reconditioned product is a product that was returned to the manufacturer in a used condition, which is basically three to six months. All used parts are then replaced and brought back to the new condition. The only parts that are not replaced are some outer body parts so it is recommended to buy the new product if you are expecting too much. One cannot simply regret investing in this Bosch rotary laser level. The self leveling feature present in the machine tends to be very accurate and smooth to perform. Whenever you need to switch working location, you need to move the machine to that point. While doing so, the tool automatically resets itself to zero point at radium of 30 inches, which tends to be quite handy while handling long term jobs. Most of users are satisfy with the claim of manufacturer about the machines accuracy. The machine is capable of performing a partial sweep if you want to paint a line on the wall, instead of performing traditional 360 degree / referred as full sweep. It is a great package that totally worth the money you are going to pay for it. Robert Bosch is respected owner of Bosch groups. Bosch group was formed in 2003. This group is not just 15 years old. Many divisions that are now a part of Bosch group were once working under a single roof for more than a whole century. These various divisions were unified in the year of 2003. This corporation was formed in North America in January, 2003 when Robert Bosch the respected manufacturer of power tools, lawn accessories and garden accessories decided to get all his manufacturing plants under a single name and roof. The corporation gained quite a respect easily through its engineering excellence and more than hundred years of experience. It is now a leading manufacturer, designer and seller of power tools, rotary and oscillating tools, accessories, laser and optical leveling and range finding tools and garden and watering equipment as well. Bosch group is a leading global supplier and manufacturer of technology and services. It works in the area of automotive – industrial technology, consumer goods, building technology, etc. Bosch group holds more than 350 sub companies and regional companies under its roof, spread over 60 countries. In this count, sales and service partners of Bosch are excluded. If you included them as well, Bosch supplies its products and services over 150 countries. With each new release, Bosch always attempts to enhance the quality by providing engineering solutions that are proven to be innovating and beneficial as well. Bosch is celebrating its 130th anniversary in current year of 2016. 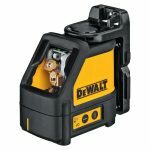 We hope This best rotary laser level reviews would help you a lot in order to select the best laser level. 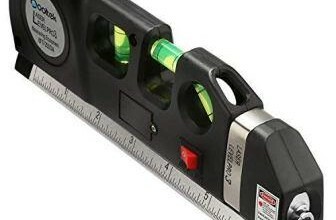 A Bosch rotary laser level that fits best for mid-level requirements. This article covers almost every detail about the manufacture and the product itself. This product is considered best for mid-level workers and requirements. There are some limitations too related to moving, lifting, etc. However, the price you pay will totally worth the quality you get.